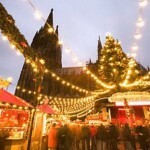 As the Christmas season closes in, BMI Regional launches Christmas markets fares across some of its popular European routes. With one-way fares from only £38 per person – including 20kg checked baggage (ideal for all those presents) – Christmas comes early for travellers from Bristol, Birmingham, Newcastle and East Midlands. From 27 November to 24 December, Marienplatz in Munich offers unusual Christmas gifts around such as wood carvings from Oberammergau, gingerbread from Nuremberg and elegant glassware from the Bavarian Forest. International musicians and artists gather for the Tollwood Christmas Market, a celebration of cultures from around the world. bmi regional one way fares from Bristol to Munich start from £79 per person. The prettiest and largest of Hamburg’s nine markets is held at the Town Hall where bakers from Aachen and woodcarvers from Tyrol offer delicious treats and tempting stocking-fillers. Alive with history and tradition, Hamburg is proud of its Hanseatic: explore decorated stalls, warm punch served by clowns, and entertainment from circus artistes. Santa Claus appears three times a day at the Town Hall from 24 November to 23 December and each Saturday in Advent features a festive parade. 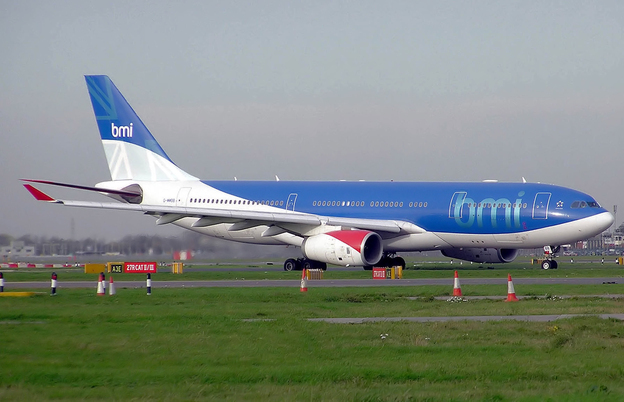 bmi regional one way fares from Bristol to Hamburg start from £89 per person. Frankfurt Christmas Market is one of the oldest and most popular in Germany and is a showcase for arts and crafts, and seasonal food and drink. With over 200 stalls in the picturesque setting of Romerberg market place and St Paul’s church, entertainment includes concerts, trumpet fanfares from the balcony of St. Nicholas’s Church and bell ringing from the church carillon. The market runs from 26 November to 22 December. bmi regional one way fares from Bristol to Frankfurt start from £80 per person. Mouthwatering treats including roasted almonds and mulled wine tempt festive shoppers seeking the perfect present, traditional delicacies, decorations and candles. Need an adrenalin boost? Rollercoasters add an edge to this Christmas experience from 15 November to 29 December. With a dozen other markets across the city, Gothenburg is buzzes with festivities and fun. bmi regional one way fares from Birmingham to Gothenburg start from £82 per person. From 28 November to 4 January, Brussels bustles with festive glee seven days a week with seasonal food stalls, hand-made gifts and decorations, live performances and artistic displays. Head to the iconic Grand Place to be at the heart of the yuletide action, and to enjoy traditional winter beers and hearty at the famous bars and cafés. bmi regional one way fares from Newcastle and East Midlands to Brussels start from £80 per person. Closer to home, join the fifth annual Bristol Christmas Market from 7 November to 22 December and savour German-themed festive food and drinks such as gluhwein and bratwurst. In addition, The Broadmead West area is hosting a Made in Bristol seasonal market from 4-22 December to showcase the very best gifts, handmade crafts, and local foods – all ideal gifts for the big day. bmi regional one way fares from Aberdeen to Bristol start from £79 per person. World-famous for its chalets and festive ambience, the Manchester Christmas Market boasts 300 stalls located around the city’s streets and squares from 14 November to 21 December. For a real taste of Europe – without leaving the UK – savour the German and Spanish beers, Dutch pancakes and French wines on offer. 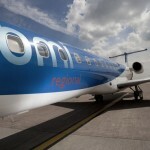 bmi regional one way fares from Aberdeen to Manchester start from £38 per person. Book at www.bmiregional.com. All fares correct at time of writing.